Learning to Speak Łingít (Tlingit) Łingít sh tuxhaltóow (I’m learning Tlingit). Nahaan is of Łingít, Iñupiaq, and Paiute tribes. His work reflects his teachings and cultural background. As a tattoo artist of 5 years and running he focuses exclusively on working within the spirit and design style of northern formline. As a carver, painter and designer he emulates the visual storytelling crafts so dear to his people of Southeast Alaska. He is a spoken word poet and helped to found “Woosh Kinaadeiyeí” in Juneau Alaska which has since grown into a thriving creative mainstay in the capitol city. 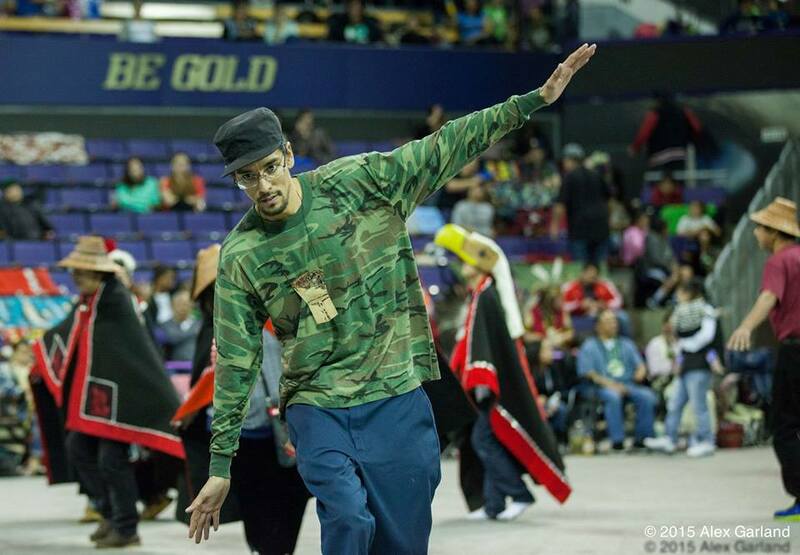 He teaches the Tlingit language and song, and is the spokesperson for Náakw Dancers, a group which he started in Seattle, Washington in order to perpetuate the rich expressions of the Pacific Northwests native population. He focuses on the aspects of community empowerment and self mastery through the methods of decolonization indigenization and activism. This entry was posted in Language Preservation, Łingít (Tlingit) and tagged Last Real Indians, LRInspire, nahaan, Native language, Native language preservation, Native language resources, Tlingit by lrinspire. Bookmark the permalink.